I dropped my iPhone 6s for the 7th time and it decided it had had enough. Small cracks exploded and the phone became virtually unusable. I've been putting off buying a new phone. I don’t like the iPhone X and I'm waiting for a future model. I went to the nearest Apple store and they wanted $149 to fix. They also couldn't do it right away; it would be 5 days before I could get in for an appointment. 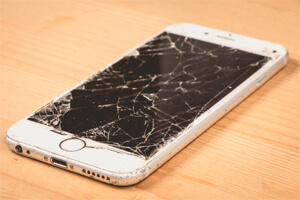 There are numerous 3rd party companies that offer screen replacement for around $100. However, it's really hit-and-miss. These companies get mixed consumer reviews. While searching the web I came across a company called iFixit. The company offers $60 do-it-yourself replacement kits for several phone models, including Android. They also offer numerous parts, including batteries, for tablets, smart watches, and drones. They package I received from them included everything I needed to do the repair myself. There was a set of tools and the new screen. iFixit screens are not genuine Apple parts, so that is something you may want to consider. Also, if your phone is still under warranty, doing this type of so-it-yourself repair may void it. iFixit keeps its prices low by producing phone parts in China. I took me around 45 minutes to do the repair. The kit I received didn't contain any instructions. Instead, I followed a step-by-step guide posted on their website. There were numerous pictures and it was easy to follow. If you're on the fence about doing this type of repair yourself, take a look at the guide first and see if it's for you. I'm not the most tech savvy person, but I didn't have any problem completing the repair on my own. The hardest part is removing the old broken screen. There are lots of pieces of little broken glass. But after the screen has been removed, the rest is pretty easy. In the end it was a very rewarding experience and I fixed my old iPhone 6s for only $60. WHEN WILL WE GET A BITCOIN ETF?